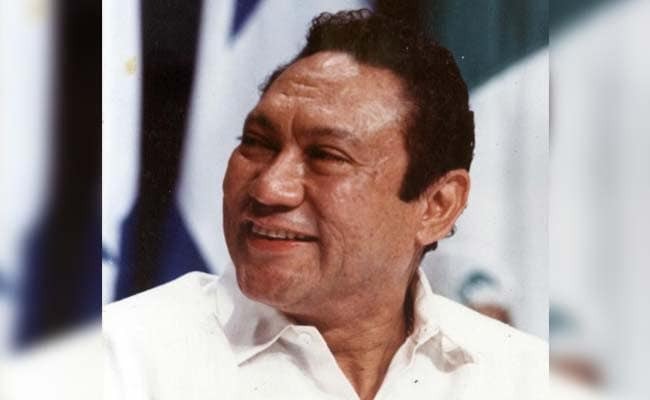 Manuel Noriega, who ruled Panama for 6 years, died at the age of 83. Panama City: Former Panamanian dictator Manuel Noriega, who spied for the CIA before his drug trafficking and brutal regime sparked a US invasion in 1989, has died aged 83. President Juan Carlos Varela announced Noriega's death on Twitter late on Monday, and said his passing marked the closing of a chapter in Panama's history. Noriega, who ruled Panama from 1983 to 1989, spied for the Central Intelligence Agency until the United States invaded and toppled his corrupt government, ending a criminal career that saw him working with drug traffickers like Pablo Escobar. Noriega was initially sentenced in the United States in 1992 but was serving a sentence for murder in Panama when he died. The wily military ruler of the Central American nation made world headlines as his relationship with Washington soured, culminating in the United States sending nearly 28,000 troops to seize Panama City and capture him in a house-to-house hunt. Noriega spent the rest of his life in custody between the United States, France and Panama for crimes ranging from murder to racketeering and drug-running. The former dictator had undergone an operation in March to remove a brain tumor but suffered a hemorrhage and had been in a coma since a second surgical intervention. A government official, speaking on condition of anonymity, said Noriega died at around 11 p.m. local time after his condition suddenly worsened. With the knowledge of US officials, Noriega formed "the hemisphere's first narcokleptocracy," a US Senate subcommittee report said, calling him, "the best example in recent US foreign policy of how a foreign leader is able to manipulate the United States to the detriment of our own interests." After his capture, Noriega tried to turn the tables on the United States, saying it had worked hand in glove with him.